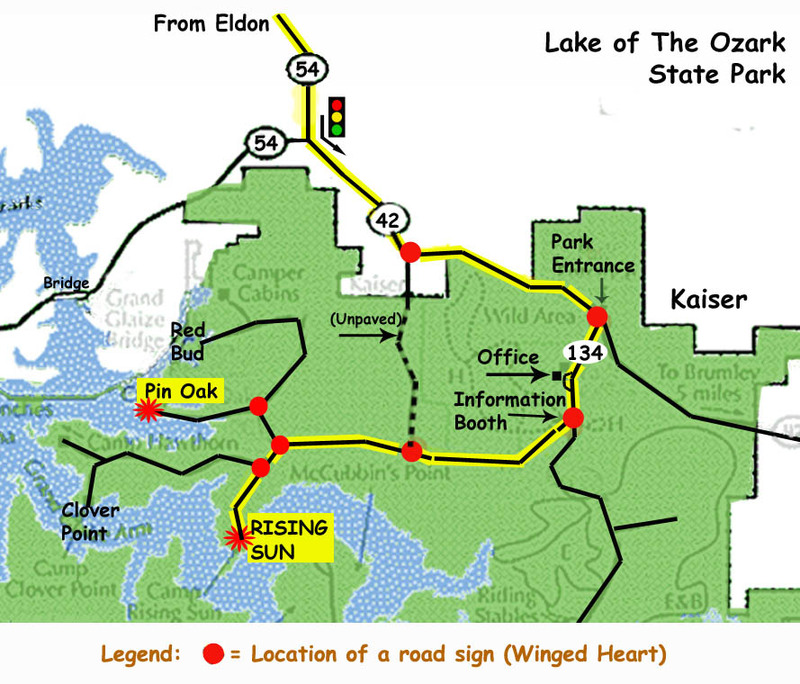 Ozark Sufi Camp is held in the Lake of the Ozarks State Park outside Osage Beach, Missouri. Campers may arrive after 1 pm on Friday, May 24 to complete registration and receive a cabin assignment in one of the group cabins at Camp Rising Sun. Camp “officially” ends with Closing Zikr Circle on Tuesday night, May 28. All campers must be out of the campgrounds by 9 am on Wednesday, May 29 to accommodate the next group. Camp Rising Sun: Lodging will be in comfortable 18-person cabins with showers and restrooms. Facilities at Camp Rising Sun are handicap accessible. To reserve a space at camp, a $100 minimum per adult must be sent with your registration form. The balance owed should be sent in by Saturday, May 4. Camp fees are only discounted for registering and paying early. We are noticing that most campers love our online registration payment option! Payment via credit card using PayPal is easy and you do not have to register with PayPal to use this option. Click here to print a copy of the registration form. Please do not mail registration form after Wednesday, May 15; call/text Gayan and register online or bring your form with you to camp! Please Note: There is a $50 per adult cancellation fee if notified before start of camp. See Camp Fees page for cancellation calendar. Teens and children must be accompanied by a sponsoring adult. Drop off for Kids Camp is for children age 5 and up. Parents of younger children are always welcome to come hang out at Kids Camp! Sign up when you check in for 2 camp tasks. For those who choose not to participate in this sacred communal opportunity, there is an additional fee of $30 per day or $100 for the whole camp, payable with registration form. This dedicated space is provided by the camp for the use of healing practitioners, teachers, and campers. There is a Dervish Healing Order Circle daily open to all campers, as Spiritual Healing is one of the five concentrations of the Hazrat Inayat Khan lineage. Healing practitioners may offer services for pay, for barter, for trade, or for free (as they choose). If interested, please contact Batina VanDam-Hinds at batina.eneira@gmail.com with the Subject line: Healing Temple. Practitioners who charge for services are asked to tithe 10% of their income to the camp. Healing practitioners who charge for services must be licensed/certified if these credentials exist for their modality, so please bring your credentials to camp if you plan to charge for services. Once a day the Healing Temple is reserved for the Dervish Healing Order Circle Only so please schedule accordingly. Check in with the registrar upon arrival. Vendors are expected to tithe 10% of total sales back to the camp. We always attempt to meet your request regarding type of cabin (family, couples, women, men, co-ed easy access, tent camping, RV camping) as listed on your registration form. If there is a specific cabin you want to stay in, or you would like to be placed with particular people, please note this in the “Comments” section of your registration form! We will do our best to accommodate your requests, but cannot guarantee placement in specific cabins. Our goal is to serve our campers healthy and delicious food at every meal. There are alternative food choices like non-gluten, vegan, and vegetarian at every meal. However, if you have a special diet, you are the best judge of what you need to eat. There is refrigeration available if you choose to bring your own food.